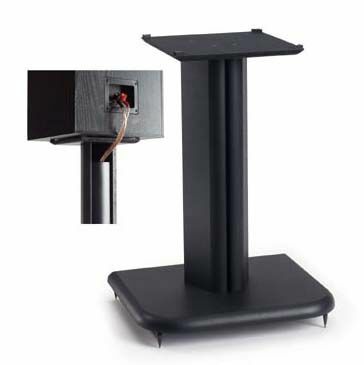 More on the Sanus Foundations Basic Series 16 inch Wood Speaker Stands BF16-B1 (Black Ash) below. 25 lb top-plate weight capacity. *Also available in 24 and 31" models. See "Related Products" below for more information. Top Plate Dimensions: 7" x 7"